Sustainability - Why is it Important? At Alliance Construction Specialties (ACS) sustainability is important to us. We are committed to lowering our carbon footprint without reducing quality of construction or service. Why is it important to implement sustainable building construction? Sustainable construction means resources are being used as efficiently as possible throughout a project, and it means the effects of construction are minimal to the environment. It is also important to note that construction does not only have impacts on your site. You have to look at the community and how the materials will effect people and surrounding areas. If a toxic material is used and then needs to be disposed of that could have devastating effects on the community. What are some practical ways to implement sustainable building construction? There are many ways to make sustainable changes in your existing office or new construction. LED lighting is energy efficient with a long lifespan. They are also environmentally friendly. Efficient insulation keeps your building cool in the summer and warm in the winter, lowering the amount of electricity you use. By implementing a rainwater collection system you are saving money on water costs while also helping the environment. Not only does more access to natural light produce more effective employees, it lowers your need for artificial light which saves you money by using less electricity. Energy efficient windows reduce electricity costs, give you better quality light, blocks sound, and protects indoor decor from sun damage. A cool roof will improve indoor comfort, save you money, extend your roof’s lifespan, reduce power outages, and is cost efficient. Solar panels save you money on electricity, have no fluctuating costs, and have a long lifespan. There are so many ways to make sustainable changes in your everyday work environment and long term in your new construction building. ACS is located in Argyle, Texas. We appreciate the opportunity to serve yo in all your construction and maintenance needs. 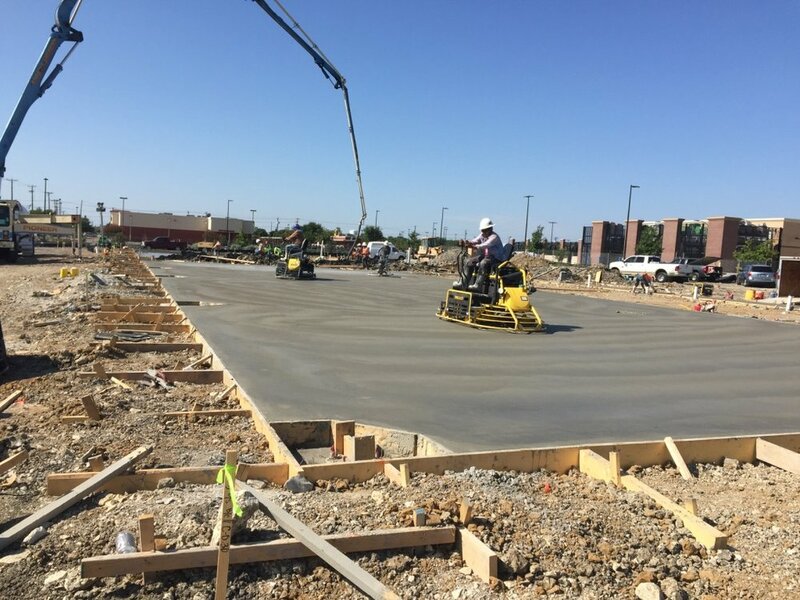 We are a family owned, privately held company with experience in all divisions of general construction, property and facility maintenance, and commercial and industrial remodeling. Ready to lower your carbon footprint on your next project? Contact Alliance Construction Specialties today!